110.99 USD Now available. Sold 6 in the last two weeks. 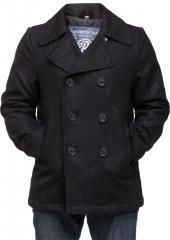 Pea Coat is a classic men's jacket. 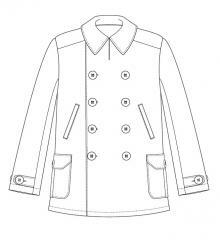 Meant to protect the wearer from harsh weather, a typical Pea Coat is made of wool. These usually have anchor motif buttons in two rows. Greatcoats offer an even better cover, and are historically seen worn by people in harsh conditions for a good reason. 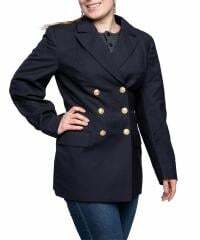 Although a greatcoat is obsolete in military use, in civilian world it can be a striking piece of attire. Plus, it covers some of your legs too for additional warmth.